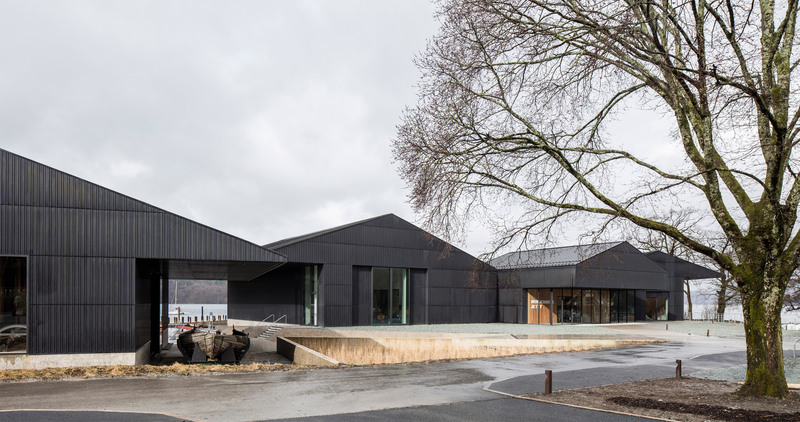 Carmody Groarke has completed the Windermere Jetty museum in England’s Lake District, which houses a collection of boats in a lake-side cluster of copper-clad buildings. 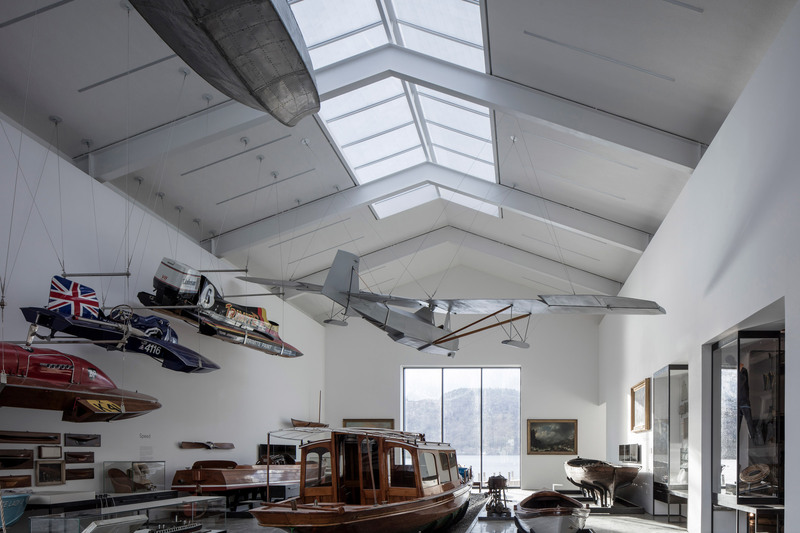 The London studio headed by Kevin Carmody and Andy Groarke, designed the Windermere Jetty museum to accommodate an internationally significant display of boats, including motorboats, steam launches and yachts. 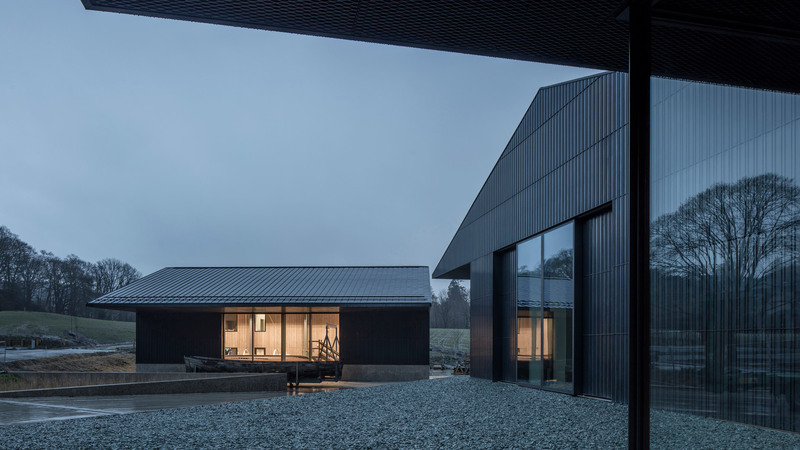 Carmody Groarke designed the facility for local charity Lakeland Arts as the evolution of a smaller museum that opened in 1977 to house a private collection. The museum repurposes a site that was previously occupied by a gravel-extraction plant. Its location on the outskirts of the town offers some of the best views of the lake, which are framed by large openings in the metal structures. The architecture studio was keen to retain some of the site’s working background when developing a proposal for a facility, which also includes areas dedicated to the conservation of the boats. 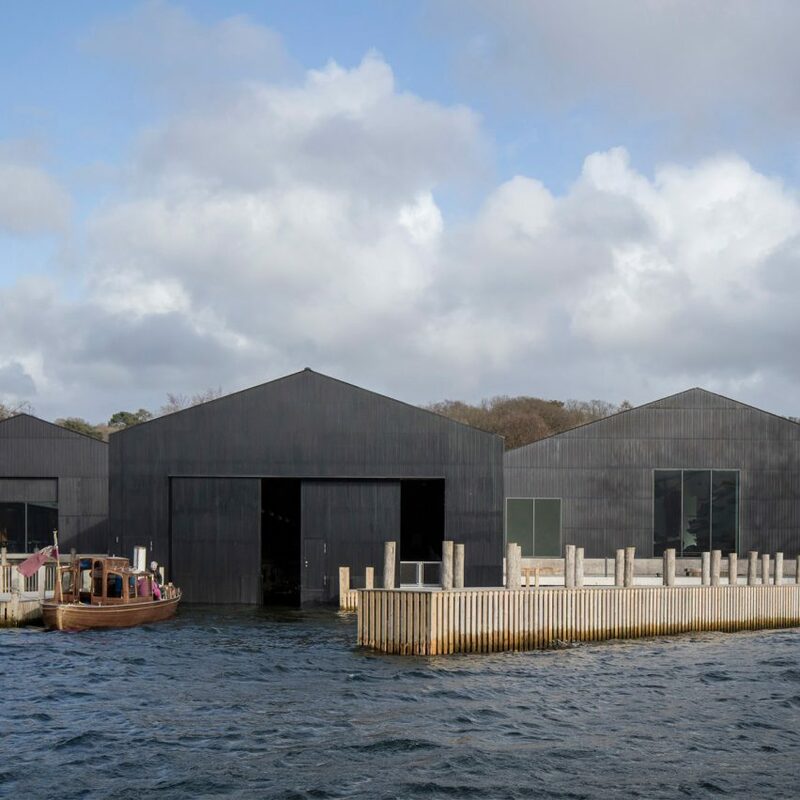 The museum comprises an ensemble of compact structures placed within a natural setting that aims to immerse visitors in the landscape and bring them as close as possible to the water and the boats. 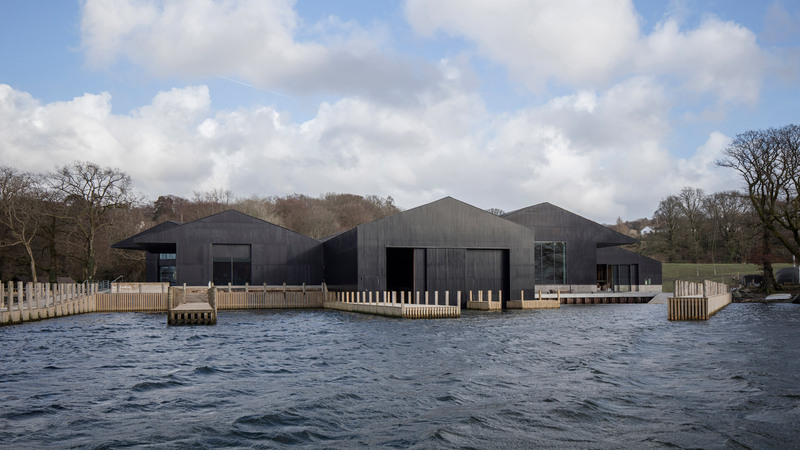 “Working closely with Lakeland Arts and museum stakeholders, we wanted to create a museum whose design would make a connection between people, boats and water, and which would also reinterpret the site’s industrial and picturesque heritage,” explained Andy Groarke. 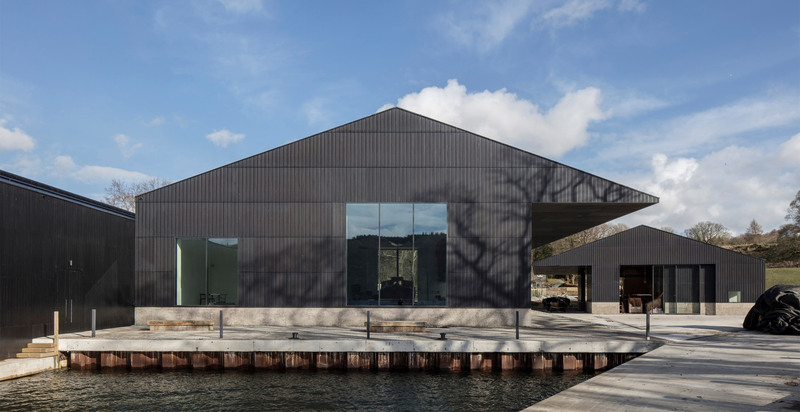 The museum’s architecture is influenced by its setting and by local vernacular architecture, with the configuration of the compact buildings promoting a strong topographical relationship with the lakeside site. The centrepiece of the museum is a covered wet dock that allows boats to be displayed in the water. Boats can be sailed in and out of the dock through large doors that open onto the lake. 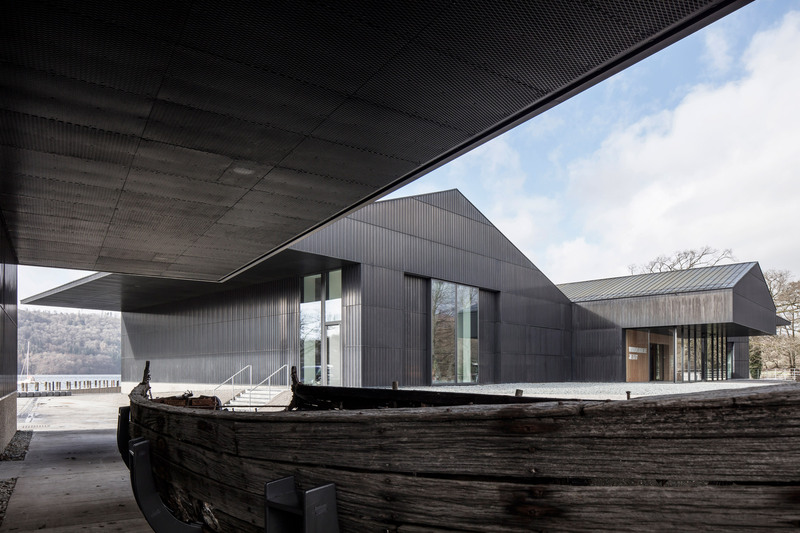 The rest of the buildings contain the main entrance, conservation galleries, education spaces and a cafe, which are laid out in a sequence that forms a visitor route around the wet dock. The buildings surrounding the wet dock sit on a concrete podium that elevates them above the risk of floodwater. A standalone conservation workshop is placed closer to the water level. Carmody Groarke developed an architectural language based on the vernacular of agricultural and industrial buildings in the Lake District. This is interpreted in the simple shed-like forms with pitched roofs and expansive eaves. “The building forms are somehow familiar, but made special by the overhanging canopies which extend the inside spaces of the building with all-weather shelter into the landscape,” the studio added. Oversized eaves that extend from one side of some the structures shelter display areas and welcoming porches, while the conservation workshop’s eaves protect an exterior workspace. The various volumes are clad in oxidised copper to ensure they appear as a unified whole. The copper is folded and pinned to create a ribbed texture that will gain a distinctive patina as the material weathers over time. 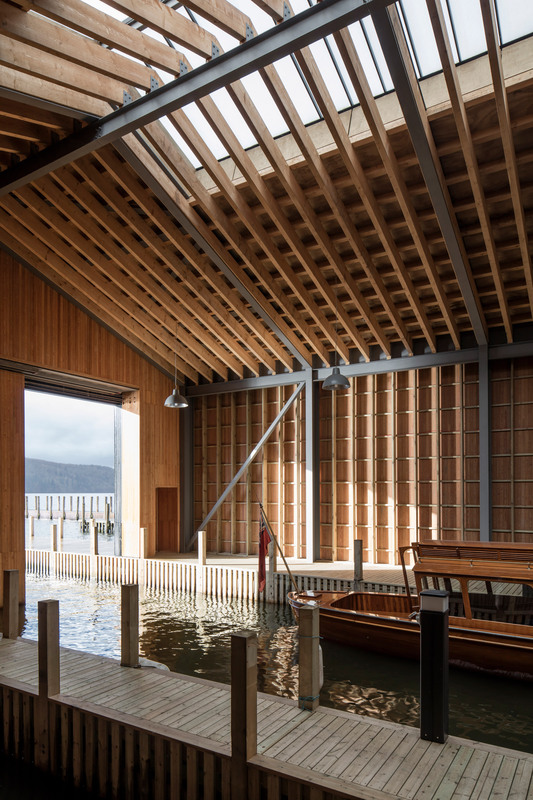 The homogenous metal facades are interrupted by large openings that look out onto the lakeshore and allows boats to be easily moved between inside and outside. The building’s main exhibition space features whitewashed walls that make the most of natural daylight entering through the windows and large skylights. Other spaces such as the cafe and circulation areas are lined in Douglas Fir that creates a warm contrast with the dark exterior. Carmody Groarke’s previous cultural projects include the creation of a members’ room at the Victoria & Albert Museum featuring mirrors that reflect views of spaces inside and outside the building, as well as plans for an art gallery on the site of the brutalist Park Hill housing scheme in Sheffield. Photography is by Christian Richter. 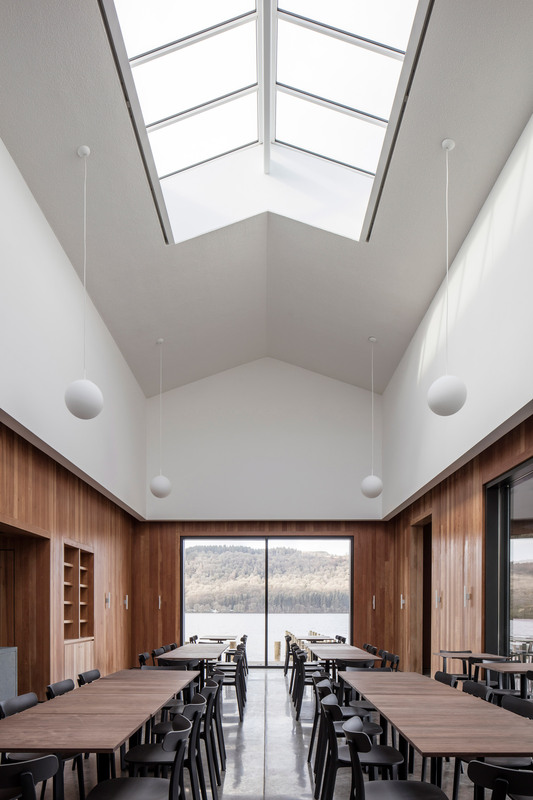 The post Carmody Groarke completes boat museum on the shore of Windermere appeared first on Dezeen.